Better yet, there’s no minimum order requirement—and your PureBond® order is shipped right to the store! 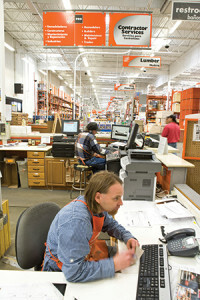 Ask your Home Depot ProDesk associate for lead times and pricing information for all special order products. Be sure to use Special Order SKU# 226-917. To learn more about the PureBond hardwood plywood available at Home Depot, click here. Have questions about our PureBond plywood? Contact us today! Or looking for some samples or more information on our PureBond hardwood plywood products? Click here.